How does the Healing through Music method work ? HTM is a unique healing method. It works by utilizing the physical attributes of the tunes. The frequency generated by the tunes creates waves that we know as sound waves, which move the air in the room and permeate the listener’s body. The HTM tunes resonate in the listener’s body, and the body reacts to the music’s frequency. Playing the tunes as instructed in the kit sets in motion a healing frequency in the body that renews, invigorates and energizes. The Healing through Music method can also help to heal different diseases. The frequency generated by the tunes acts systematically on the body systems and functions as a comprehensive and holistic treatment to balance the listener’s mind and body. Patients treated with the method report significant improvement in their physical and emotional health. Additional information can be found in the Channeling King David HTM kit. I am a healthy person, how can the kit help me ?? Healing through Musicis suitable for everyone. Even if you are healthy, you can enjoy the balancing properties of the HTM method. Listening to the tunes according to the techniques taught in the book will enable you to improve your body’s frequency and functioning on a daily basis. When should I use this kit ? The Healing through Music kit creates a healing frequency that affects all the body systems. 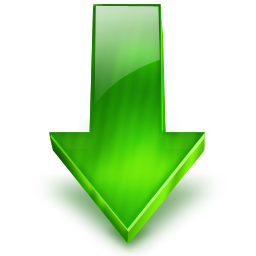 Schedule treatments regularlyon the same day and time. At first, schedule treatments once a week, until the body adapts to the healing frequency. After 12 weeks, and when the body adjusts to the changes, you can continue treatments at shorter intervals, even once a day. In any case, you should set aside a specific time for rest and focusing on the healing process while listening to the tunes. It is not recommended to use the tunes in the kit as everyday background music, to avoid energetic disruptions. Who can use this healing method ? If you are a healer, you can use the HTM method to enhance the results of your treatments.The treatments will be more effective, healing time will be shorter, and the effects of the healing technique you use will intensify. You can integrate HTM with your chosen healing method, to intensify your abilities as a healer. If you do not have previous background as a healer, you can use the Healing through Music kit and become an HTM healer, using this holistic healing method that balances all the body systems, while providing your patients with an enjoyable experience. The kit includes an instruction book and cards that will systematically guide you in using the method. If you are interested in self-healing, you can benefit from using the Healing through Music method even if you have no previous experience as a healer. The tunes in the kit will help you to heal your body and balance your emotions. If you are an otherwise healthy person who wishes to keep body and mind balanced, you can use this kit to recharge yourself with energy and strengthen your body and soul. This method bestows a powerful experience of healing that balances, renews energy, strengthens and helps in every aspect of life. I give Shiatsu treatments. Can I benefit from using the Healing through Music method ? Many healers that use different therapeutic methods play background music to create an ambience during treatment. Listening to music relaxes the patients, and enables them to enjoy a relaxed and pleasant healing experience. You can play the tunes in the Healing through Music kit instead of other background music. Play music with a healing frequency for your patients, and benefit from the healing effect. Using the tunes in the kit will enable you to intensify the effect of the treatment you give your patients. Playing the HTM tunes will quicken the healing process, strengthen the patient, and help to balance the emotional state. I have cancer; can listening to the tunes in the kit benefit me ? Cancer is a disease in which the body attacks itself by abnormal, unbalanced cell division. There are many different types of cancer but all of them indicate an imbalance of body systems. This imbalance can be caused by a number of reasons, some physical and some emotional. The Channeling King David – HTM kit can help to balance the body systems and enable the body to return to its original state of balance. 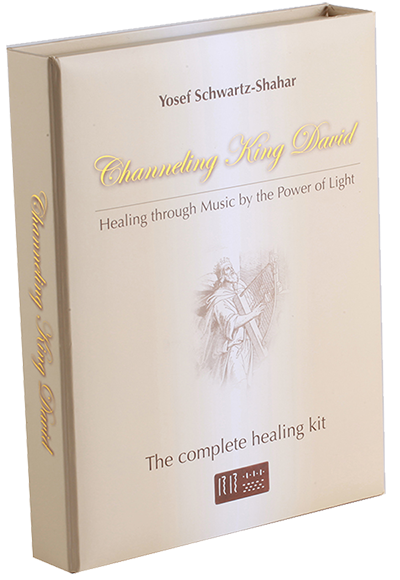 The tunes in the Channeling King David – HTM kit can help strengthen the body and enable it to cope better with the disease. A disease of this kind weakens the patient’s emotional state, and makes the healing process more difficult. The tunes can help improve the emotional state and increase the body’s natural ability to heal itself. Conventional treatment of the disease includes chemotherapy, which weakens the patient and may cause nausea and vomiting. Use of the tunes and the HTM method can significantly help relieve the pains, the nausea and other physical manifestations of the treatments. The healing frequencies in the Healing through Music kit work on balancing the four elements. These elements are the building blocks of the body, the elements that comprise the parts of the body. Treating with HTM can be of great help on the road to total healing.